This post will explain what steps you need to go through to enable the ansible management of RHV on the first release of CFME 4.5. 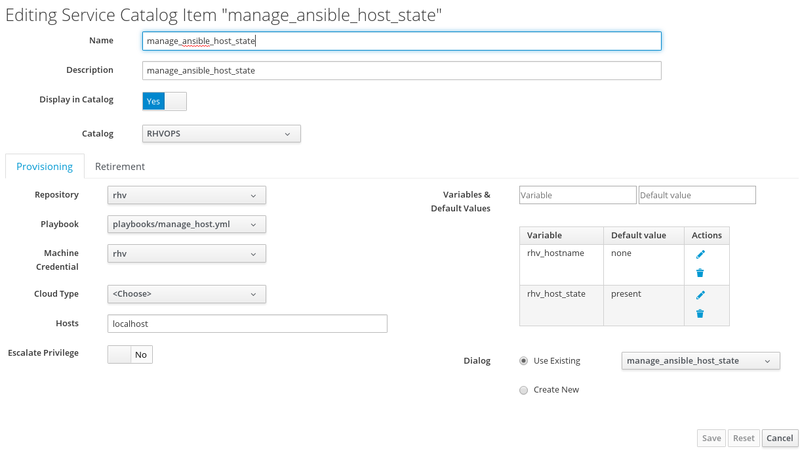 I assume that you’ve already enabled the Embedded Ansible role in Configuration – Server Control (enabling ansible automation inside can take up to 7-10 minutes) . 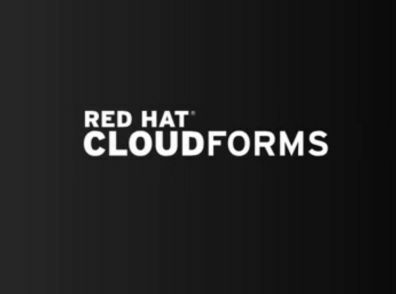 CloudForms 4.5 comes with the ansible version of 2.2.1. For the RHV / ovirt modules we need the 2.3 version. As both version run python 2.7 an upgrade of the package ansible will not pull in any dependency and will not add any harm to the system. Now we need to get the python-ovirt-engine-sdk4-4.1.3-1.el7ev.x86_64.rpm as this package is not on the cloudforms appliance yet for rhv 4.1. Please make sure you download it from the redhat portal. I need this directory for my playbooks as I store the ovirt-ca.pem there which is needed for the authentication. Restart ansible automation inside to update the configs. From there you can go to Services – Catalogs and create a new catalog. 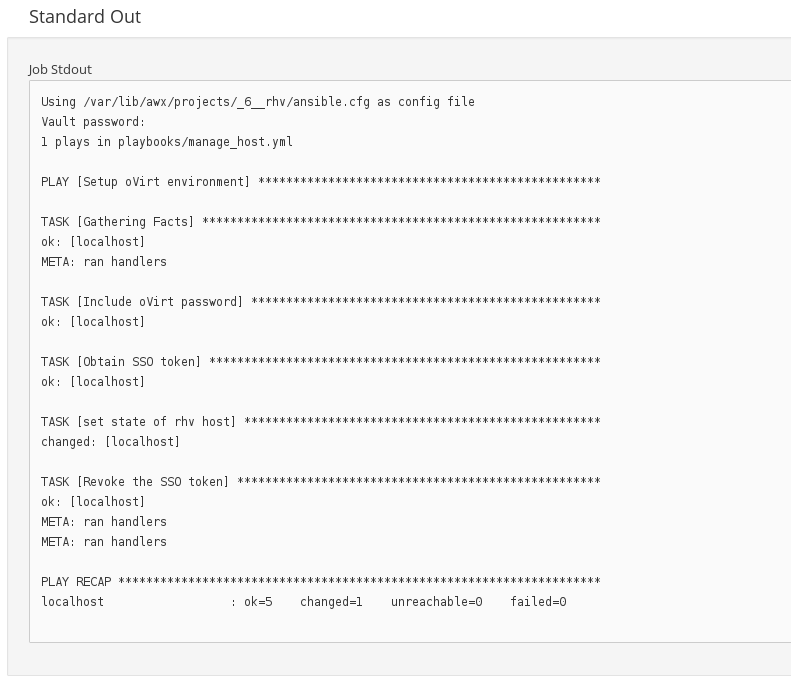 Once done go to Catalog items where you can choose to create a new item from the ansible playbook. You can either let it generate a new service dialog or you can use one you’ve created. The job output can either be checked in the self service portal or in /var/lib/awx/job_status/…. on the appliance which runs ansbile.